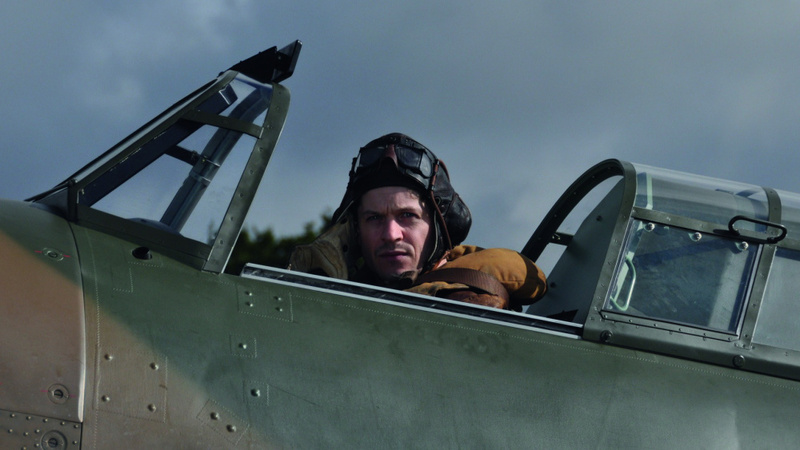 Of the many stories to come out of World War II, the story of the Polish fighter pilots who served in the RAF is one of the more remarkable. In the first six weeks of combat, they claimed an unprecedented hundred and twenty six kills, and by the end of the war, 303 Squadron had the highest ratio of enemy aircraft destroyed to their own lost. With such a notable history, it’s a shame then that Hurricane resorts to lazy soap opera dramatics in telling the Poles’ story. The tone is set when we see Jan steal a plane in France in order to reach England: instead of being a perilous endeavour that could go wrong at any moment, it’s treated as something of a practical joke on Jan’s part. Good-natured banter ensues between the Poles while they wait to be put to good use, and only when the RAF top brass assign lucky Canadian John Kent (Gibson) to oversee their training. Rule-breaking and insubordination are the order of the day from then on, alongside skirmishes with British pilots who are brought in to be unpleasantly racist, something that’s heightened by Phyllis dumping her usual man (Alexander) in favour of Jan. It’s history perhaps, but played out in a distant, modern fashion that doesn’t suit the period. While the movie does get darker as the war continues – and the Polish body count rises – we see flashbacks to the fates of Jan and Witold’s spouses at the hands of the Nazis. This sobering of the narrative is necessary but feels underwhelming; there’s always another soap opera moment waiting just around the corner, such as when Jan seeks to repay the hospitality of a working class family, only to find their home has been destroyed in a bombing raid (the inference is clear but Jan never actually checks to see if they’re dead or alive). Elsewhere, there’s a member of the squadron suffering from cowardice, plenty of stiff upper lip moments, and the strange sight of a book on Rudimentary Polish that’s the size of War and Peace. 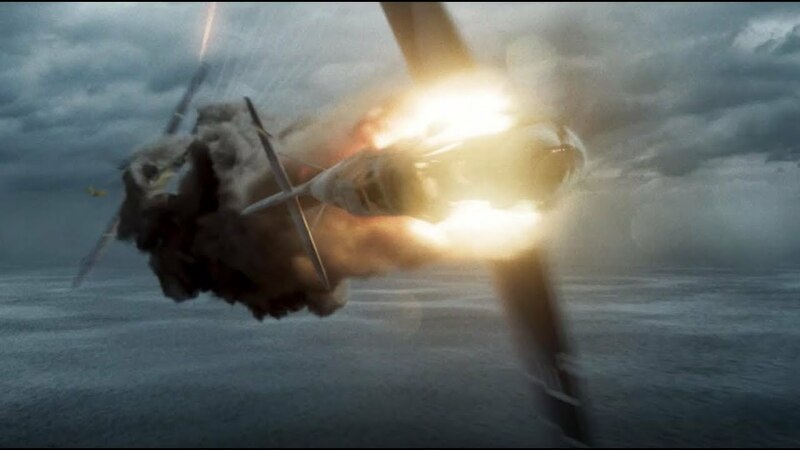 Thankfully the aerial dogfights rescue the movie from its self-inflicted doldrums, though the anonymity of the pilots in these sequences (despite as many cockpit close ups as possible), lessens the impact when one of them is killed. The cast are proficient without being asked to do too much, and TV veteran Blair does his best to cope with the few demands of Robert Ryan and Alistair Galbraith’s patchy screenplay. All in all, it’s a great story, but here it’s also one that never seems like it’s being encouraged to truly “take off”. 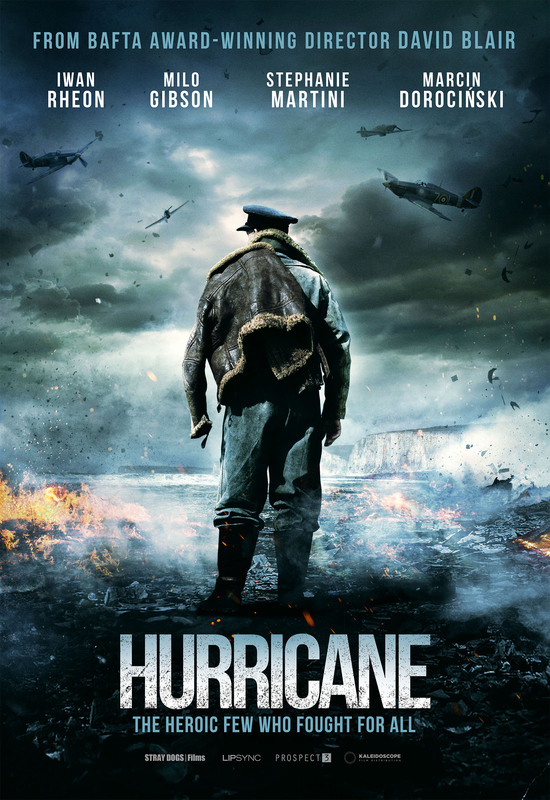 Rating: 5/10 – lacklustre, though enjoyable in a basic, just-go-with-the-flow kind of way, Hurricane is the kind of movie that doesn’t even tell you its title is the make of plane its main characters are flying; without the requisite energy needed to make it as compelling as it should have been, the movie founders under a weight of good intentions and unrealised ambitions, something that can’t be said of its Polish pilots in real life – dzięki Bogu.